Insight Yoga: a series of sequences that teaches both the dynamic flow poses (yang) and the more passive resting poses (yin) is its foundation. Combining traditional yoga techniques with the meridians of Chinese medicine and meditation, she has created a practice she calls Insight Yoga: a series of sequences that teaches both the dynamic flow poses (yang) and the more passive resting poses (yin) is its foundation. Demonstrated by the author in beautiful photographs, the poses balance gentle stretches with dynamic moves for ultimate benefit to organs, muscles, joints, and tendons. 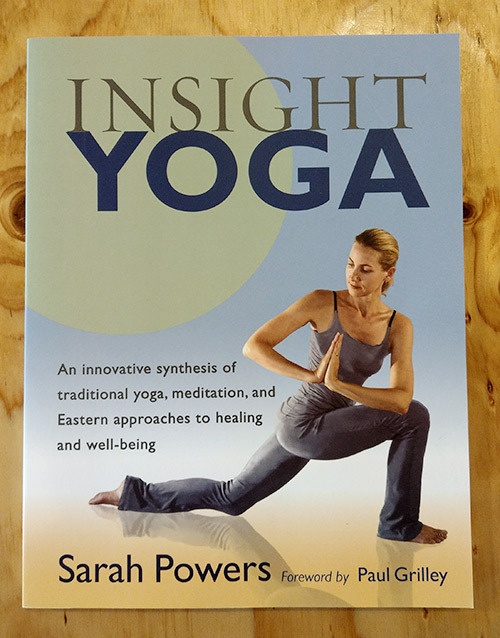 Sarah Powers is widely known for her original ideas and techniques for using yoga both for health and spiritual growth. Powers offers a basic explanation of Chinese medicine theory, as well as of Buddhist mindfulness meditation.